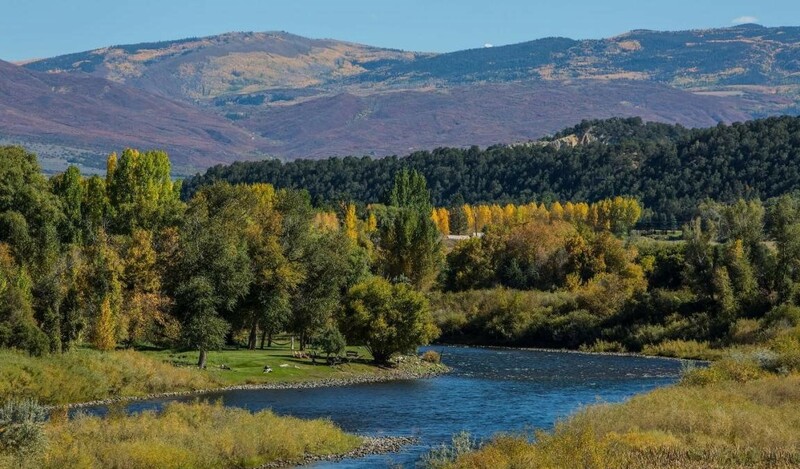 The famous Roaring Fork River is one of Colorado’s premier freestone rivers, running roughly 70 miles from the town of Aspen to Glenwood Springs where it spills into the mighty Colorado. The Roaring Fork provides anglers with substantial hatches from Caddis, Yellow Sallys, PMD, BWO’s, and it’s ever famous Green Drakes, making it a haven for Dry Fly Fisherman. The Fork is a great river for wading however it is perfect for a full day float trip. The Roaring Fork is a Gold Medal River with healthy fish numbers that will produce for anglers of all abilities. Sunny days and warm weather are making for some great bug action on the Roaring Fork. The water is clearing up and the flows going down making it a great time to hop in a boat and float one of Colorado’s greatest rivers. Some scattered showers are in the forecast for this upcoming week so be sure to have those BWO patterns ready. For those sunny warm days, Sally and PMD patterns have been quite effective. Dry dropper rigs have been producing numbers but don’t forget about nymphing some of those big holes for what might be lurking down deep. Ample amount of Stoneflies and Green Drake Nymphs in the water make for great attractor patterns when using big dropper rigs or nymphing. The water is still moving good so be sure to properly weight flies to get them down in front of the fish. Terrestrial patterns have been turning heads with the heat of summer among us and should continue to work until fall. The Roaring Fork also provides great streamer action from Spring until Fall. Want to Fish With us on the Roaring Fork River?